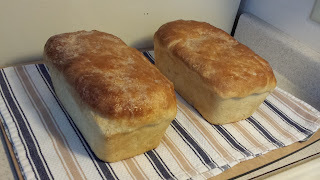 I spent the day baking bread! I have not baked homemade bread for probably 35 years! It felt good to work with the dough again. Kneading dough is very relaxing. 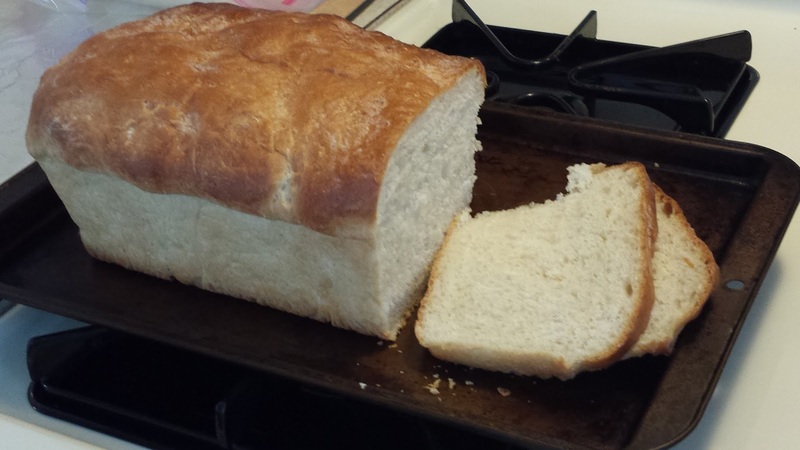 I didn't have the recipe that I used way back then, so I went surfing the web for the perfect bread recipe. I found it here. It was on allrecipes.com and it is called Traditional White Bread. It is light and fluffy and is perfect for sandwiches or to just enjoy with butter, which is my favorite. 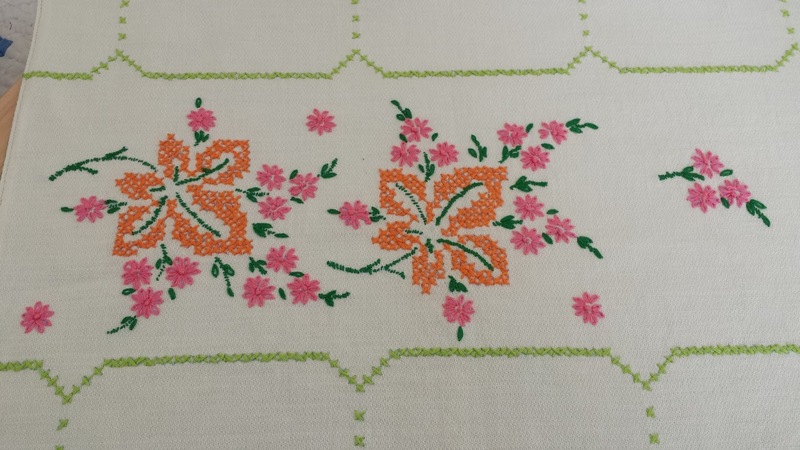 My Mom embroidered a beautiful bureau scarf many years ago. I came across it a number of months ago and have wanted to finish it and be able to use it. 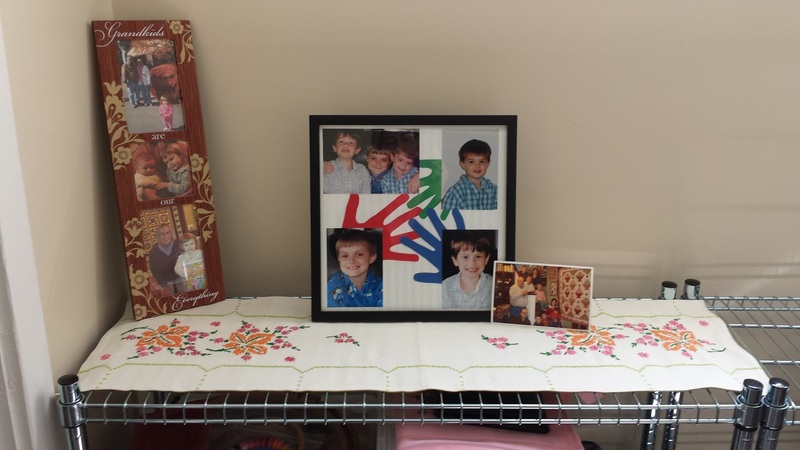 I finally got a backing sewn on it and it fits perfectly on the rack in my sewing room. 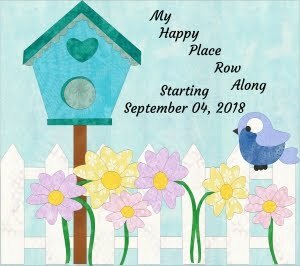 The perfect spot for my family pictures. These are the things that I could not resist! Material Obsession seems like an appropriate book for me. 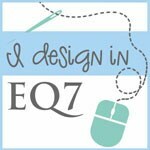 :-) One of the co-authors of this book is Sarah Fielke, who has become one of my favorite designers. I only recently discovered her and I love the simplicity of her designs and her use of colors. 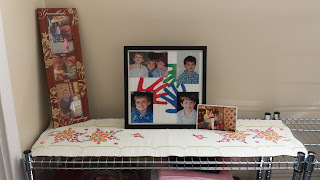 All her quilts just make me smile. 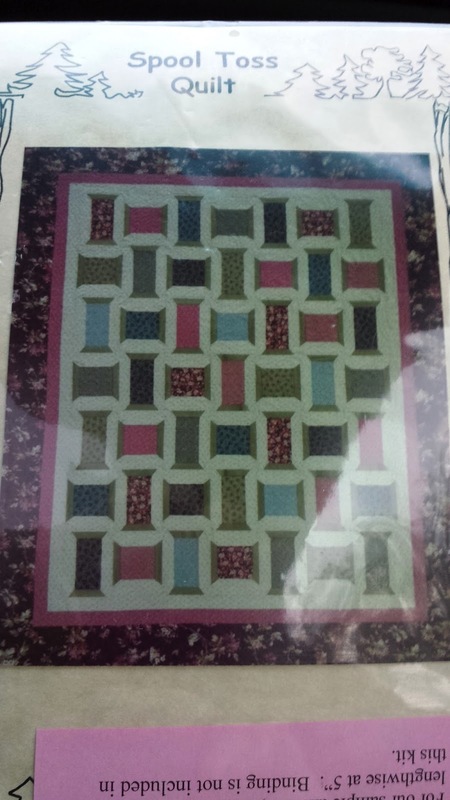 She has written a number of books and is also doing classes on Craftsy. I am hooked! You can learn more about her on her website here. The other quilt shop that I just discovered is about 7 miles from the house. 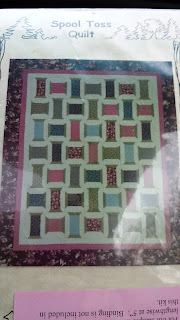 It is called Pieceful Gathering Quilt Shop located in Fox River Grove. It is a wonderful quilt shop located in an old house. You all know I love shops in houses! 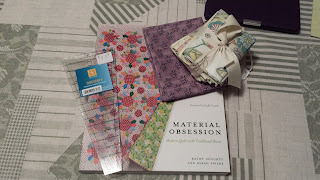 But to my surprise when I walked inside, I discovered that they carried all reproduction fabric! I thought I was in heaven! So many wonderful samples and kits were everywhere! I didn't know what to look at first! I see many visits there in my future! 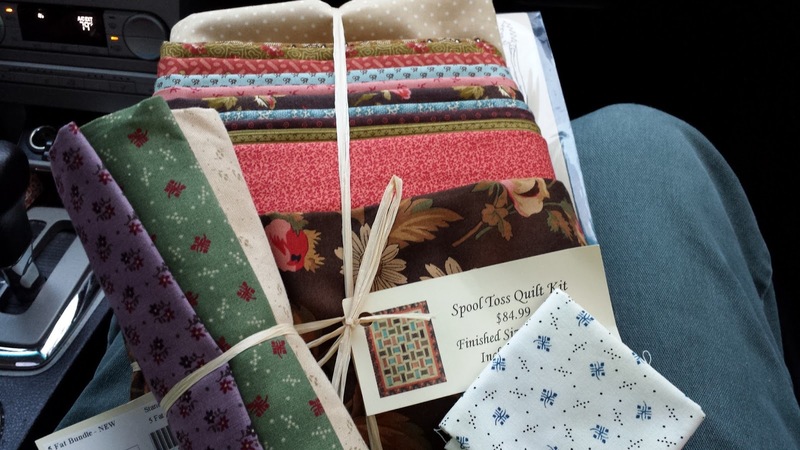 I purchased a fat quarter bundle, fat 1/8th and a wonderful kit for a quilt called Spool Toss Quilt! I could not resist it! I saw so many others I would have liked, but they will have to wait for another day! 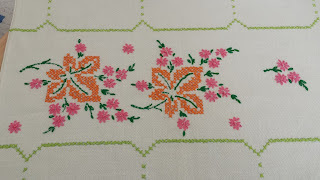 I am finally getting a chance to do some things in my sewing room and I hope to have something to share with you soon.